Oh how I love to eat chocolate and peanut butter treats! Did you know that about me? Is it true of you too? I’m basically a sucker for anything chocolate, but add peanut butter and it’s amazing! I’m also a sucker for feeding my friends decadent desserts like this. I love taking treats to their house and making them happy (or fat). So this is a perfect combo. 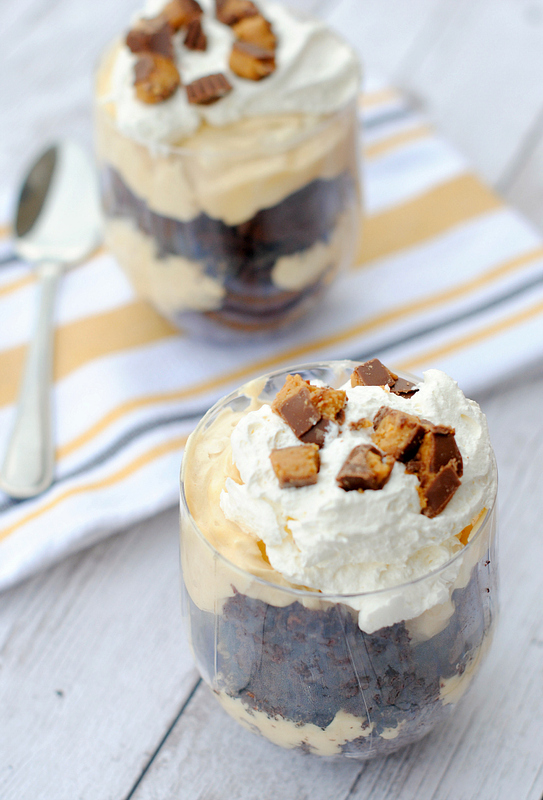 I’ve got a Chocolate Peanut Butter Mini Trifle that not only tastes amazing, but is easy to share with friends when you wrap it up nicely in Glad® Press‘n Seal®. Win win right?! It’s layers of peanut butter mousse, chocolate cake and peanut butter Oreos, then topped with cool whip and Reese’s Peanut Butter Cups. Yes it is. I’m really happy with these treats. My boys are too. Their drooling. Trifle is always a favorite dessert of mine, but make it in a cute individual portion and it’s not only delicious, it’s fun! Would you like to make some of these babies? Of course you would! Instructions: Prepare the pudding as directed and allow it to set up. With a whisk, mix in peanut butter till smooth then stir in cool whip. To Assemble the Trifle: Bake the cake and allow it to cool completely. Make your peanut butter mousse while you wait. Cut the cake into square pieces. Layer about 3-4 pieces of cake on the bottom of your cup. Scoop about 2 big spoonfuls of peanut butter mousse on top of that. Tap the cup down a little to get the mousse to settle in on the cake. 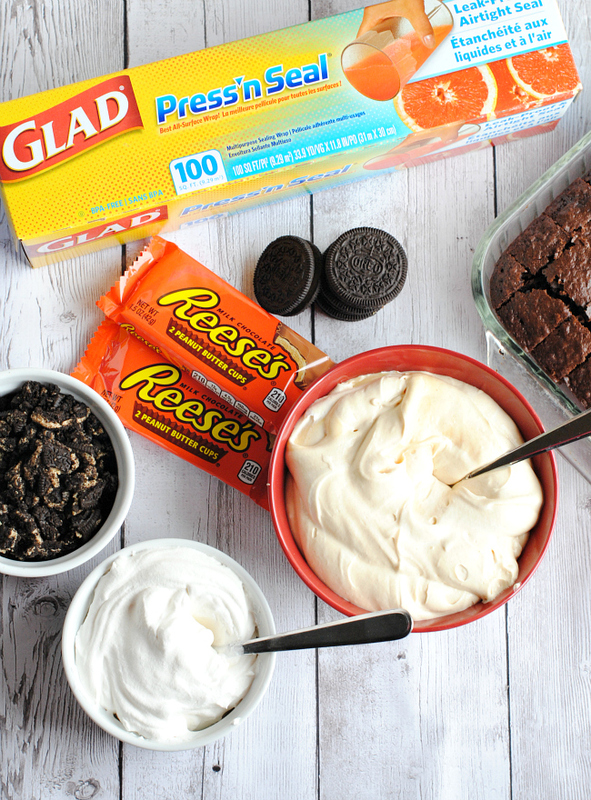 Crush your Oreo and sprinkle about 2 Tablespoons on top of the mousse. Repeat the process with the cake and the mousse. Top with one spoonful of cool whip and sprinkle with chopped Reese’s. You will want to refrigerate these if you aren’t eating them right away. Now, why are these the perfect gift to take to a friend or a party? Look how easily transportable they are! 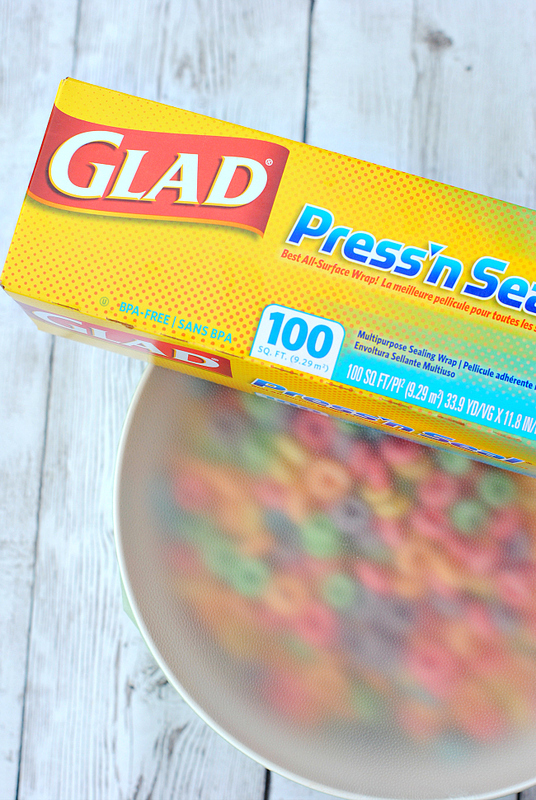 Grab some Glad® Press‘n Seal® and pull off a piece. Simply pull it over the top of the cup and wrap it down the sides and press it in place. It will stay perfectly in place! 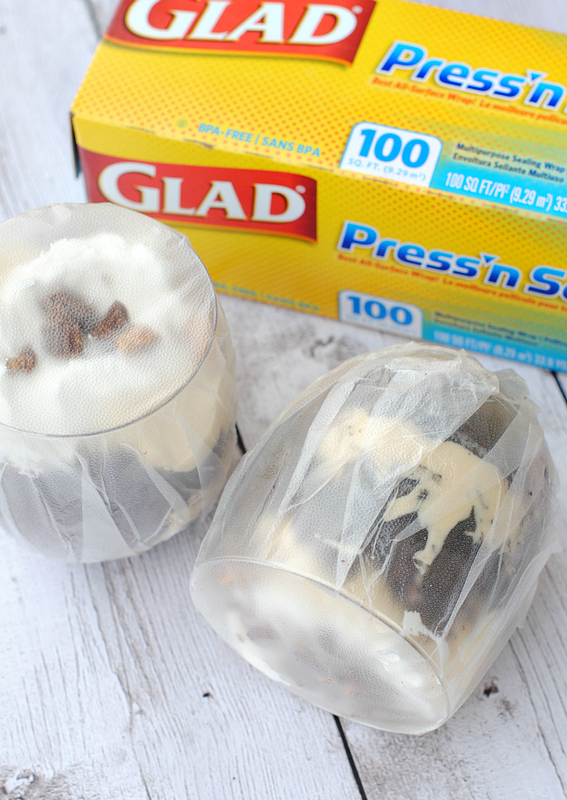 Honestly, I had never tried Glad® Press‘n Seal® before this and I LOVED the ease of using it. Stayed right where I wanted it to and was so much easier to work with than other ways to cover the cups! In fact, I accidentally knocked one of these over while I was finishing them up and guess what? No worries. Everything stayed right where it was supposed to! Look at that-can you beat how handy this is? I love the ease of using it for something like my trifles when I want to take them to friends or just for covering leftovers without having to move them to another container and have extra dirty dishes! I could use it to cover anything! I’m thinking this can work really well in my life. 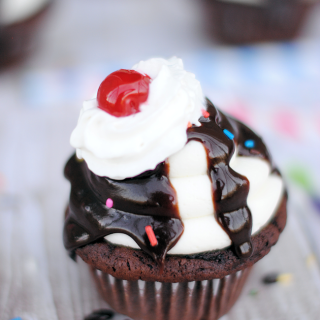 One of my favorite things to take to friends is cupcakes. 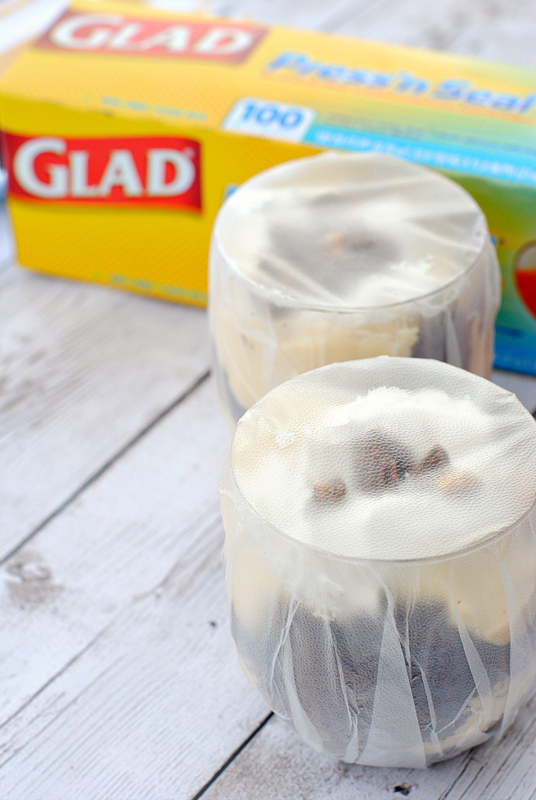 How about putting the cupcake in a cup and then covering with the Glad® Press‘n Seal®? Or a plate of cookies-I am never sure how to cover those and still have them look good! Now I know! 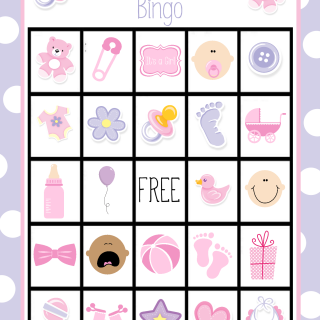 See more things you can do with Glad® Press‘n Seal® and have a chance to win big piles of cash! All you have to do is watch this video and click on the piles of cash hidden in the film for your chance to win! 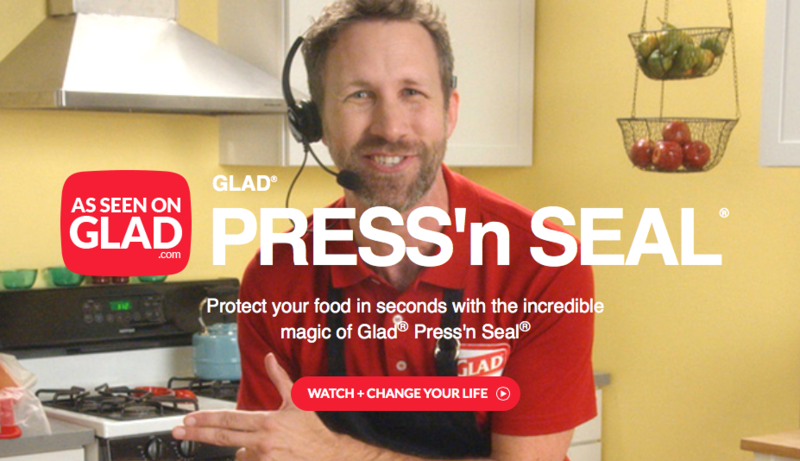 This is a sponsored conversation written by me on behalf of Glad Food Protection . The opinions and text are all mine. This looks so good Amber! Thanks for sharing! And I LOVE press and seal! It is so awesome and I had friends over last weekend making freezer meals and a friend used it for the first time and was so impressed with it. Wow! This looks really enticing! 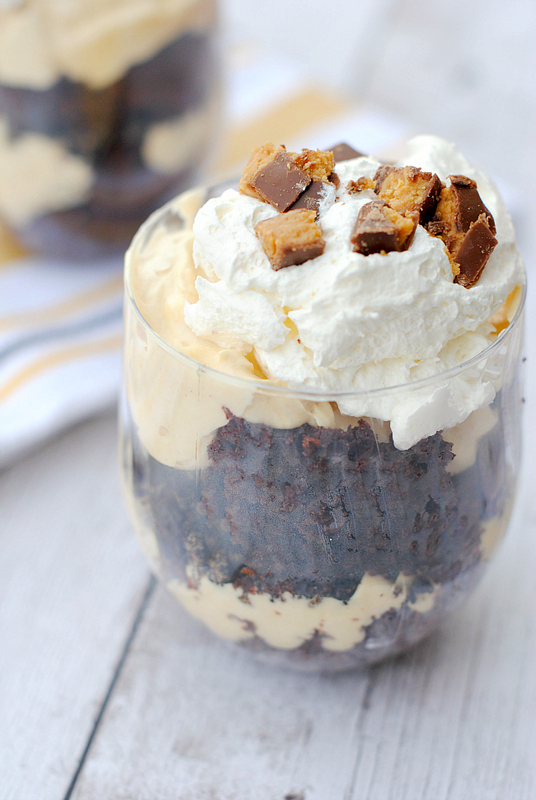 Another chocolate-peanut butter goodie on my list. Yepee! How many cups does this recipe make? Looks delicious!